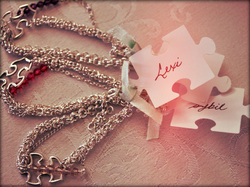 "cut out" adorned with swarovski crystals. Proceeds going to Autism Connections Fredericton, NB. Sterling filled .925/10 rings and a beautiful sterling silver puzzle piece "cut out" accompanied by a NinerDomestic signature bar bracelet with swarovski crystals. 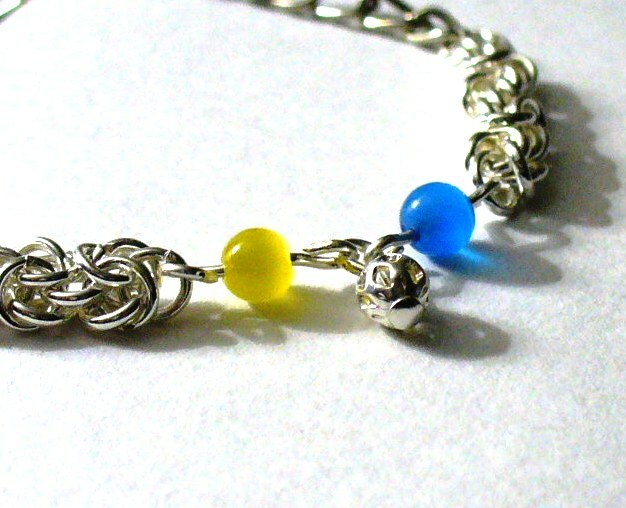 This bracelet is contains a byzantene weave of sterling plated rings and cats eye semi-transparent 4mm rounds in the Relay for Life yellow and blue. 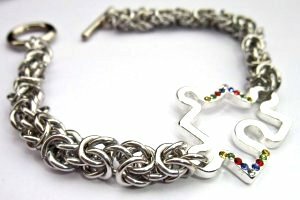 This bracelet is only available during seasonal fundraising efforts. A percentage of each purchase is donated to the Oromocto Relay for Life OHS initiative. Support the Troops Items will remain in the Strength and Tenderness tab.